night's meeting of the Archer Heights Civic Association, held at the UNO Veterans Memorial School, 47th and Kildare. 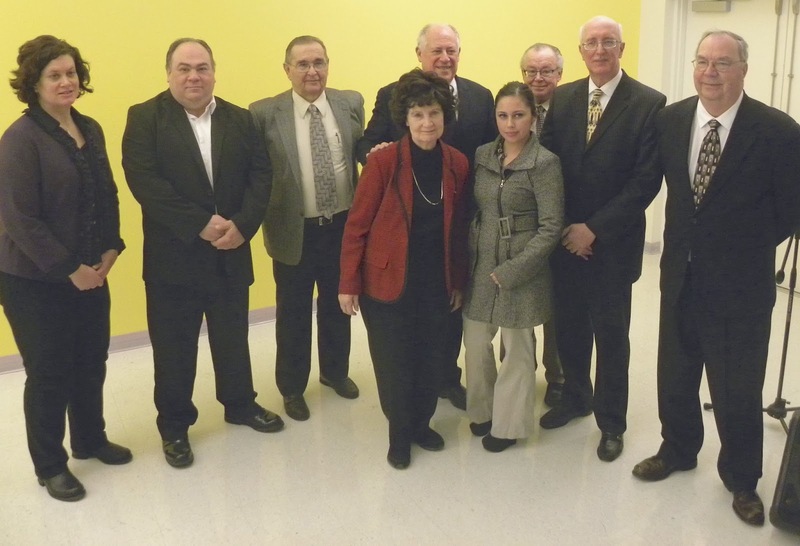 Quinn also installed the AHCA's new slate of officers, calling the group "legendary" as an established, effective organization that works to make the community a better place. 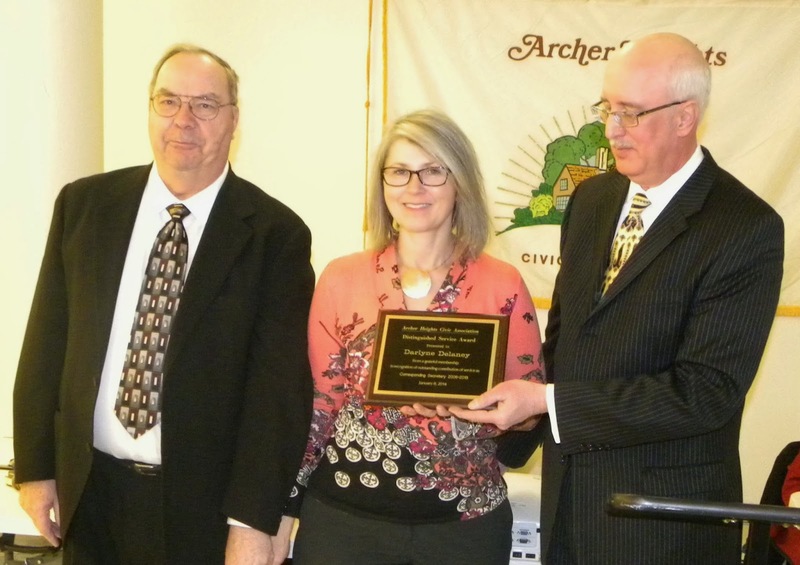 The AHCA honored several of its longtime officers, including outgoing Treasurer Ellie Fudasz, outgoing Corresponding Secretary Darlyne Delaney, and former President Stanley Lihosit. In a refreshing break with politics as usual, Quinn did not deliver a political stump speech, but instead offered some brief but profound thoughts on the importance of citizen involvement in a democracy---praising the AHCA and its members as strong examples of ordinary men and men working together to build and maintain a great community. The Southwest Chicago Post was there to capture the moment. With continued frigid temperatures in the air and plenty of potentially dangerous black ice on the ground, meeting attendance was at about 50, less than half of what the popular neighborhood group would expect under better conditions. 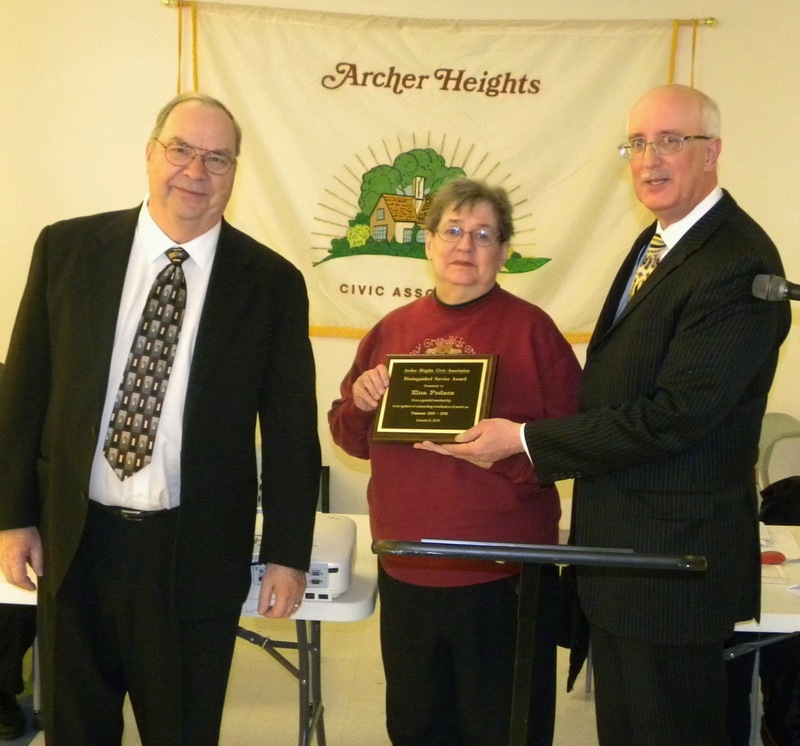 The Archer Heights Civic Association, one of the oldest and most successful community organizations in Chicago, is beginning its 76th year of service in making the neighborhood one of the very best in the city. 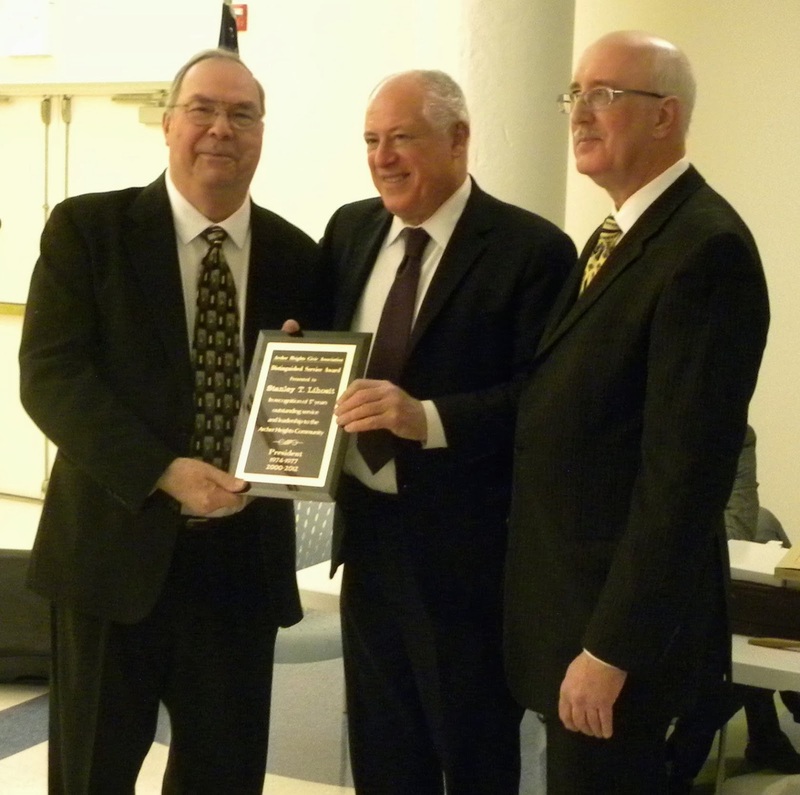 According to a statement released by the AHCA, "Governor Quinn is no stranger to the Archer Heights Civic Association and has come to civic association meetings several times throughout his political career. The AHCA first became familiar with Patrick Quinn in the 1980’s when he came out to speak as the head the Coalition for Political Honesty. Then in 1982, Quinn came before the AHCA as a candidate for Commissioner of the Cook County Board of Tax Appeals and after winning that election, came again to talk about the “Citizens Utility Board” that he was instrumental in creating. Later, Patrick Quinn came to every “candidates night” that we held when he ran for state treasurer (1986), and again in 1990 when he was successfully elected to that position and once more in 1995. He also came to AHCA during his campaign for United States Senate (1996), and for lieutenant governor in 1998. Then in 2002 Patrick Quinn again came to Archer Heights during his successful campaign for lieutenant governor. 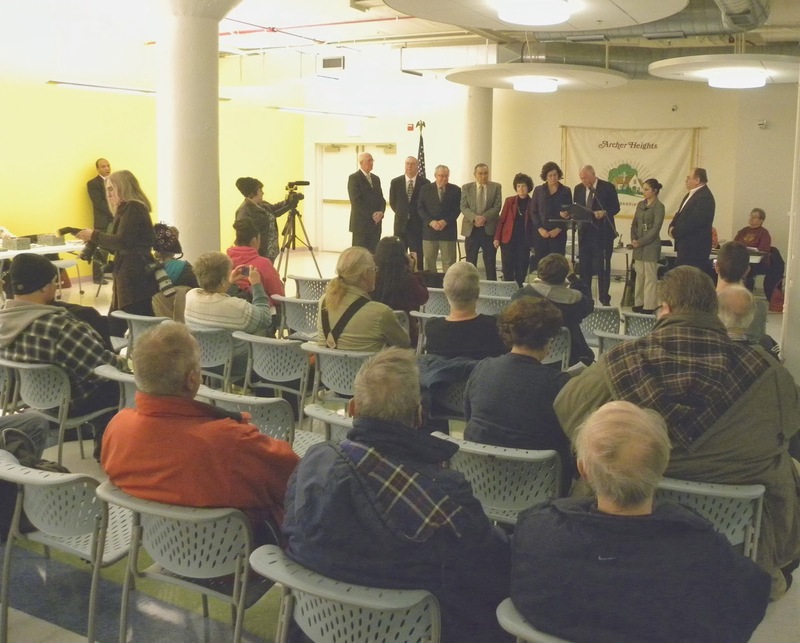 Upon the resignation of Rod Blagojevch, Quinn assumed the governor’s position, was reelected in 2010, and now becomes the first sitting governor to come to our civic association."